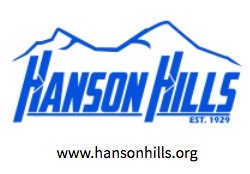 Level 1 (Hanson Hoppers) A six week program for beginner skiers ages 4-7. A six week program specially designed for children ages 4-7. This program is animated and colorful in order to keep the attention of our young students. Classes are held on Saturdays at 11:00 starting on January 7th. Each class will last an hour and a half, and then the students will be allowed to stay and ski the rest of the day. Class includes rental equipment and lift tickets for the day. Class is held at Hanson Hills Recreation Area. Level 2 A four week program for more advanced students. A four week program designed for students that were successful in completing Level 1 or that can test out of level 1. This class is design to be a continuation of our Level one class. Classes will be held on Sundays at 11:00 starting on January 8th. Each class will be an hour and a half, and then the students will be allowed to stay and ski the rest of the day. Class includes rental equipment and lift tickets for the day. To participate in this class student skier must be able to stop, turn, control speed and avoid objects while on skis. Class is held at Hanson Hills Recreation Area. Early registration is recommended due to limited equipment!